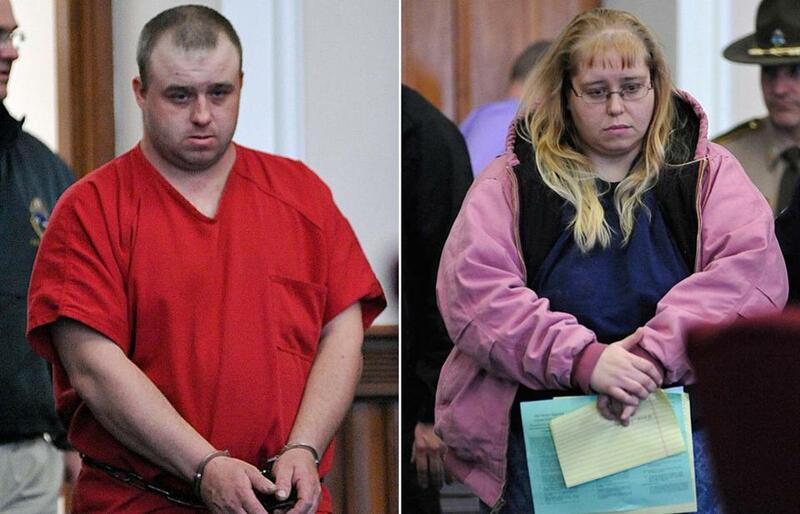 Allen and Patricia Prue appeared in court Wednesday in St. Johnsbury, Vt., where they pleaded not guilty to the murder of Melissa Jenkins. 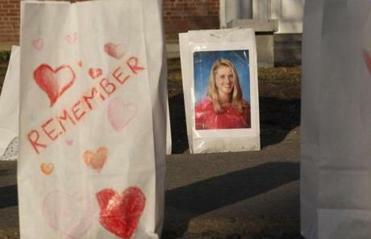 ST. JOHNSBURY, Vt. -- The man arrested in the slaying of a beloved teacher at a Vermont prep school told police that he and his wife were driving around Sunday when he “got the idea to get a girl,” according to an affidavit filed in the case by a Vermont State Police investigator. 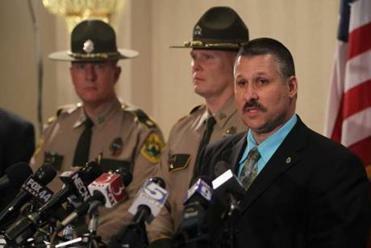 State Police Major Edward Ledo held a press conference announcing the arrests. Allen Prue, 30, went on to give a detailed confession to the crime, saying that he and his wife, Patricia, 33, lured Melissa Jenkins, mother of a toddler, from her home on the pretext that they had car trouble, and then killed Jenkins and disposed of her body, the affidavit said. Prue had once plowed Jenkins’s driveway. Jenkins’s friends told investigators that she had mentioned that the man who plowed her driveway had asked her out. She also said that the man had shown up at her home drunk in the fall, Detective Sergeant Walter F. Smith said in the affidavit. The Prues pleaded not guilty today to charges of second-degree murder and improper disposal of a body in the strangling death of the 33-year-old Jenkins. Patricia Prue denied any knowledge of Jenkins’s death in her interviews with State Police, Smith said in the affidavit summarizing the case. Wearing handcuffs and leg shackles, the couple appeared this morning in a Vermont courtroom, where a judge ordered them held without bail. The prosecutor, Caledonia County State’s Attorney Lisa Warren, said the only known tie between the couple and Jenkins was the snowplowing. She declined further comment. Jenkins’s vehicle was found idling at around 11 p.m. Sunday night near her St. Johnsbury home, with her 2-year-old son still inside. On Monday afternoon, police found Jenkins’s body in Barnet, a town about 10 miles from St. Johnsbury. Jenkins had called a friend Sunday evening, saying she “got a weird call from a girl and guy who used to plow her driveway. They said their car broke down near her house,” the detective’s affidavit said. Jenkins gave the friend the name and phone number of the Prues from a business card she had kept for snowplowing. Other friends, after not hearing from Jenkins for about two hours, became nervous and drove toward her house and discovered her car, with her son asleep inside. The friends found her shoe and a male’s hat with “Polaris Racing” on it. Police responding to the scene said the toddler, Ty, told them that his mother had cried. The toddler pulled on the back of his neck to indicate someone “had done that to his ‘mommy.’” He said his “mommy” left in a car, the affidavit said. Prue also detailed the couple’s disposal of the body, saying that he and his wife had put Jenkins’s body in a tarp, along with her clothes and their clothes, and poured bleach on them. Then, Prue told officers, they weighed down the body with cinderblocks and put it in the Connecticut River, covering it with branches. Allen Prue’s mother, Donna Prue, and sister, Sharon Tinder, were on hand for the arraignment today and insisted afterward that the couple is being wrongly accused of a monstrous crime. “I want people out there to realize he is not the monster they are making him out to be,’’ said Donna Prue, who lives with the couple in Waterford. “Neither one of them are,’’ added Tinder. Tinder said the couple did plow for Jenkins, but they had not had any contact with Jenkins for the past several years. Mother and sister said Allen Prue did not even know Melissa Jenkins’s full name because she paid them in cash when the couple handled snowplowing duties. The relatives said Patricia Prue is a New York native who met her husband through an on-line dating service in 2008. Tinder said Patricia Prue only knew her husband’s extended family and friends and had no tie to Jenkins. Patricia Prue also has chronic health issues, including depression, diabetes, and panic attacks, Tinder said. The mother and sister, who were interviewed before the State Police released the affidavits summarizing their investigation, both appealed to law enforcement to continue investigating so that the proper people are charged with murdering Jenkins. The Globe reported today that classes were canceled at the St. Johnsbury Academy because of Jenkins’s death, and a candlelight vigil was held in her memory on campus. Jenkins’s son was unharmed and is being cared for by family. The boy regularly visits his father, the Globe reported.